With decorations lining the streets and carols filling the supermarkets, I think that it is safe to say that the festive season is well and truly upon us! With all the chaos that comes with the silly season it can be difficult to remember the extra risks to our pets that come with this time of year. This is a little reminder of things that you can do to help ensure that your fur and feather children have a happy and safe holiday period. Unfortunately many animals become lost at this time of year. With holidays and fireworks, many of our furred family can become frightened and escape. You can minimise the risk of escape by ensuring that your yard is well secured and by bringing your animals indoors during firework displays. Ensure that your pet is wearing a collar and ID tag and that their microchip details are up to date. - Ensure that vaccinations are up to date (essential for animals who will be staying in boarding kennels and catteries). If you are traveling without your pet please make sure that there is a plan in place in the event that they should become unwell. Ensure that the person taking care of your pets knows about any pre-existing medical conditions and which vet to take your pet to in the event of an emergency. As the festive season approaches, please remember that a pet for Christmas is a pet for life! Puppies and kittens will live for at least 10 years (well beyond this holiday period). If you cannot emotionally and financially commit to them for their entire life, do the animals a favour and get some socks instead! Avoid a common Christmas emergency trip to the vet by ensuring that your pet doesn't help themselves to any Christmas or BBQ food. Unfortunately we often see a few very sick animals after they have gotten into rich food, the rubbish bin or even a full kebab stick. As much as we love seeing you we would rather keep your pets safe and happy. The team at Bendigo Animal Hospital wish you and your animals a very happy and healthy holiday season! 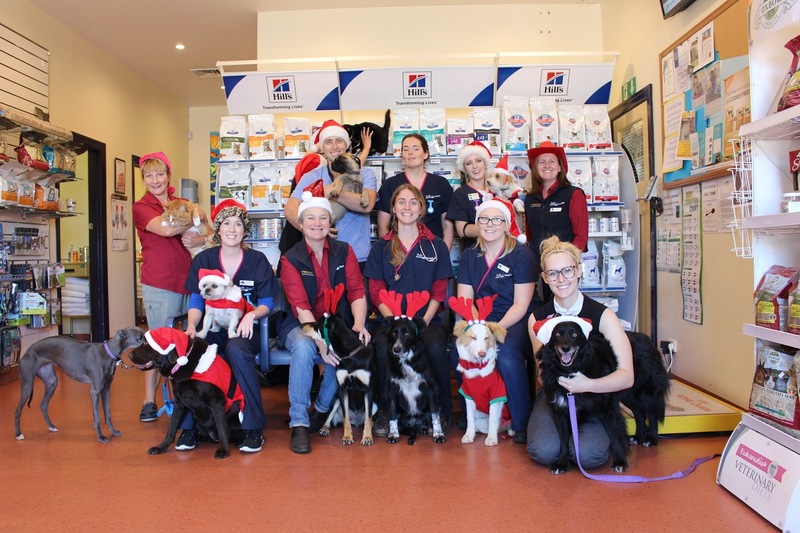 We are a family-focused, small animal veterinary clinic and hospital, servicing Bendigo and Central Victoria.